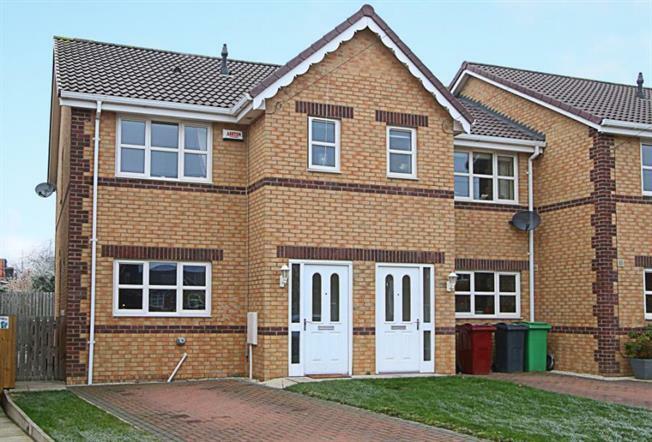 3 Bedroom House For Sale in Chesterfield for Offers in excess of £130,000. Located in a desirable position on this cul-de-sac in the ever popular area of North Wingfield is this three bedroom semi detached property with off street parking. In brief the property comprises of an entrance door which leads into the hallway which in turn provides access to the modern fitted kitchen, lounge with doors leading to the garden. The ground floor also benefits from a downstairs toilet with w.c and wash hand basin. Stairs lead to the first floor landing providing access to the three bedrooms with the main bedroom benefitting from an en-suite with w.c, wash hand basin and shower. Also off the landing is the family bathroom with w.c, wash hand basin and bath. To the front of the property there is a driveway providing off street parking and to the rear the garden is mainly laid to lawn. North Wingfield is a large village 4 miles south east of chesterfield and hosts an array of local amenities and has good public transport links offering easy access to Chesterfield Town Centre. Within easy reach of local schools and close to the five pits trails ideal for walks and cycle routes.